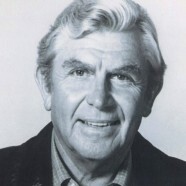 If you didn’t know yet Andy Griffith past away from this life at 86 years of age. Most known for “The Andy Griffith Show” many still quote from the shows and watch it daily. Probably what I most respected about the show was the cleanliness of the acting, joking, and script the show had. This was one of those shows that you could play in church on Sunday morning before service started and not have a worry in the world if there was going to be some type of perverted connotation or sly word spoken. It was Zestfully Clean to the core (80s humor for you there). Today you would be hard pressed to find something that was this clean in the secular scene. There are plenty of Christian things that we can watch and show in church, but the world doesn’t hardly offer anything with this kind of goodness anymore. I believe the Good ‘Ole Days of TV shows like the Andy Griffith Show are long gone which is a shame. For that Mr. Griffith, I salute you for taking the 9 years of your young life and spending them making a good wholesome show that probably will be watched and replayed for years to come.